A telescopic camera in orbit around Mars caught a view of NASA's Phoenix Mars Lander suspended from its parachute during the lander's successful arrival at Mars Sunday evening, May 25. The image from the High Resolution Imaging Science Experiment (HiRISE) on NASA's Mars Reconnaissance Orbiter marks the first time ever one spacecraft has photographed another one in the act of landing on Mars. HiRISE usually points downward. For this image, the pointing was at 62 degrees, nearly two-thirds of the way from straight down to horizontal. To tilt the camera, the whole orbiter must tilt. Mars Reconnaissance Orbiter was already pointed toward the expected descent path of Phoenix to record radio transmissions from Phoenix. McEwen said, "We've never taken an image at such an oblique angle before. Don't miss the pictures and video. A robotic dirt and ice digger rocketed toward Mars on Saturday, beginning a 422 million-mile journey that NASA hopes will culminate next spring in the first ever landing within the red planet's Arctic Circle. The Phoenix Mars Lander blasted off before dawn, precisely on time, hurtling through the clear moonlit sky aboard an unmanned Delta rocket. The rocket looked as though it was heading straight for Mars, a bright reddish dot in the eastern sky. 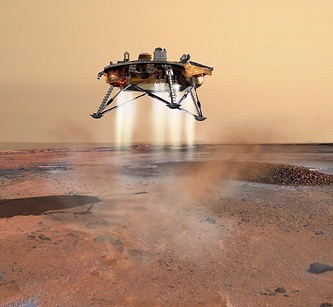 Not quite six hours later, the Phoenix Mars Lander was already 365,000 miles from Earth and had settled into a cruising speed of more than 12,000 mph. 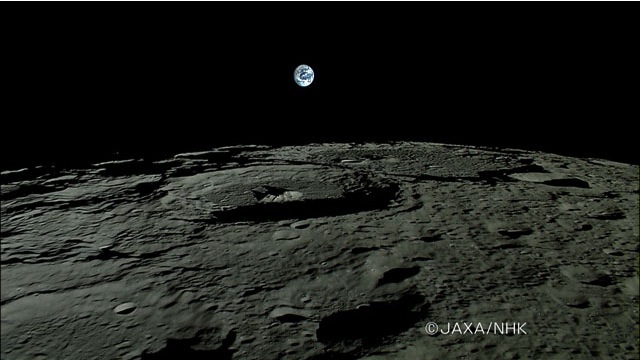 Everything seemed to be working fine, mission officials said. "Next stop is Mars," exulted Doug McCuistion, director of NASA's Mars exploration program. This is like a Hollywood movie trailer. This has everything but Bruce Willis and massive explosions. The Hubble Space Telescope is flying partially blind across the heavens because of a short circuit in its most popular instrument, the advanced camera for surveys. NASA engineers reported today that most of that camera’s capabilities — including the ability to take the sort of deep cosmic postcards that have inspired the public and to track the mysterious dark energy splitting the universe to the ends of time — have probably been lost for good. In a telephone news conference from NASA headquarters, Hubble engineers and scientists said the telescope itself was in fine shape and would continue operating with its remaining instruments, which include another camera, the wide-field planetary camera 2, or wfpc2, and an infrared camera and spectrograph named Nicmos. The advanced camera for surveys stopped working Saturday morning. He and his colleagues said that it was unlikely they would be able to repair the camera during the next Hubble servicing mission, which is scheduled for September 2008. On that mission, astronauts will replace the existing wide field camera with a powerful new version, wfpc3, which will extend Hubble’s vision to ultraviolet and infrared wavelengths and restore the lost capabilities. They will also install a new ultraviolet spectrograph, among many pressing repairs. The Advanced Camera for Surveys was installed on the telescope in March 2002, and it has been Hubble’s workhorse ever since. Among its other feats, in 2003 camera took the deepest photograph of the cosmos ever taken, the Hubble Ultra Deep Field, showing young galaxy fragments only one billion to two billion years after the Big Bang. 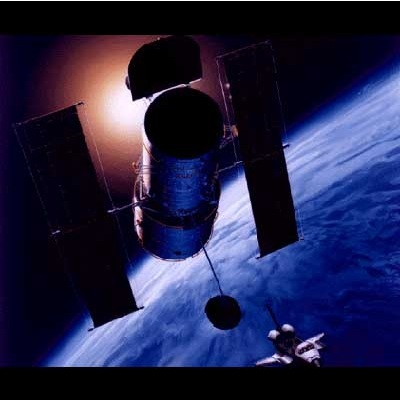 In the most recent round of proposals from astronomers to use the Hubble, about two-thirds of them required the advance camera. "If you reported a UFO sighting now, I am absolutely sure that you would just get back a standard letter telling you not to worry. "Frankly we are wide open - if something does not behave like a conventional aircraft now, it will be ignored. "The X-Files have been closed down." If these words had come from a sci-fi fanatic, they could be easily dismissed by cynics. Forget the terrorists... We got aliens to worry about! Rep. Dennis Kucinich (D-OH) introduced a bill in the House of Representatives late last year that would ban weapons in space. But while there have been many similar legislative initiatives in the past, Rep. Kucinich's bill is distinguished by its unusually expansive definition of "weapons." Among the weapons that it would proscribe the new measure includes "psychotronic" devices that are "directed at individual persons or targeted populations for the purpose of ... mood management, or mind control." This is old, but when something like this comes across your radar, you must pass it on..
LiftPort Group, the space elevator companies, today announced the release of "LiftPort -- The Space Elevator: Opening Space to Everyone," a new book on the LiftPort Space Elevator, a revolutionary new way of sending cargo and humans into space. Compiled by LiftPort, the Seattle based company dedicated to building the first commercial elevator to space, the new book is an exploration of both the scientific and social aspects relating to the development of the LiftPort Space Elevator, as told by a collection of nearly 40 leading authors and experts on science and space. The Cassini space probe has found evidence of geysers erupting from underground pools of liquid water on Saturn's moon Enceladus, scientists announced on Thursday. Earth, Io, Europa... meet Enceladus. LiftPort Group Inc., of Bremerton, Wash., has successfully tested a robot climber — a novel piece of hardware that reeled itself up and down a lengthy ribbon dangling from a high-altitude balloon. Furthermore, the company has created LiftPort Nanotech in Millville, N.J. That company is delving into mass production of nanotubes, focused on creating super-strong materials, “because, ultimately, that’s what leads to a long and strong ribbon in the sky,” Laine said. “We’re not a PowerPoint company anymore … we’re a hardware company,” Laine concluded. This is great to hear. Michael Laine did several very interesting talks at DragonCon this year. I was quite impressed. Hopefully everything will work well for them as they push their climber designs to the one mile limit.